The report itself is very calm and measured. But it does reflect prevailing opinion not only in Uganda but through much of Africa when the reporter asks at the end, “Will Uganda blink and bow to the pressure?” The image of bowing, as you can imagine given Africa’s history, has a very specific humiliative resonance that goes much deeper than much of the rest of the world. 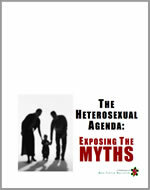 The three lawmakers in the report — Anti-Homosexuality Bill author M.P. David Bahati, M.P. Steven Ochola of the opposition Forum for Democratic Change (FDP), and Ethics and Integrity Minister Simon Lokodo (Lokodo is identified as “Rev. Fr.,” despite having been defrocked by the Vatican) — all spoke against Secretary of State Hillary Clinton’s remarks in Geneva. Human rights lawyer Ladislaus Rwakafuzi suggests that a sort of “don’t ask, don’t tell” compromise might be the best way to go for Uganda’s LGBT community. Update: Paul Canning pointed me to this question which NTV has put on its Facebook page. The responses are pretty fascinating. Yes, there are some pretty odious comments. But at least on Facebook, those East Africans who are defending gay rights as human rights are not exactly shrinking violets. I would ordinarily suggest that you chime in, but as it is, we have plenty of people in Uganda making the case to fellow Ugandans for fellow Ugandans. That’s always good to see.